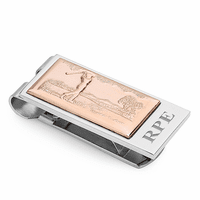 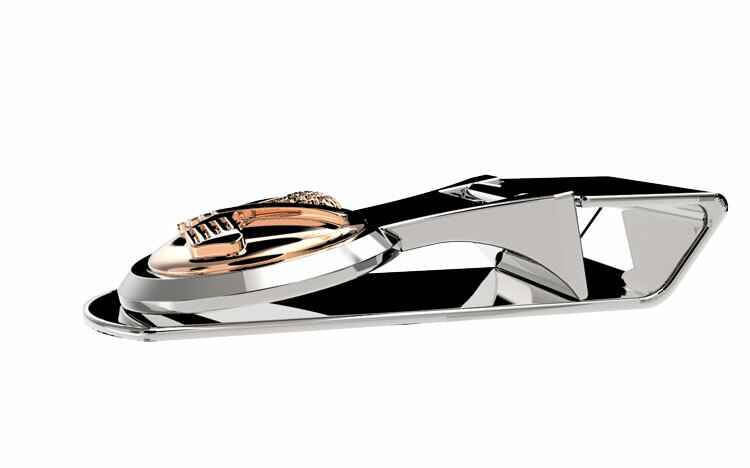 Whether you're out on the links or at a business lunch, you'll enjoy keeping your cash in this gold-themed money clip! 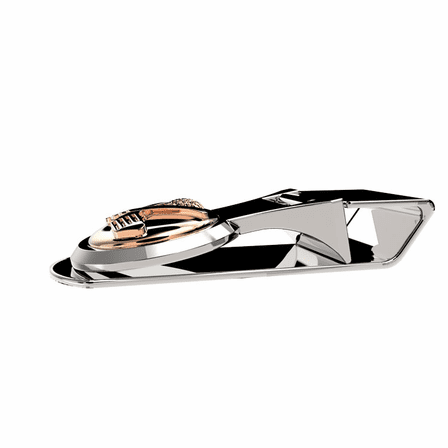 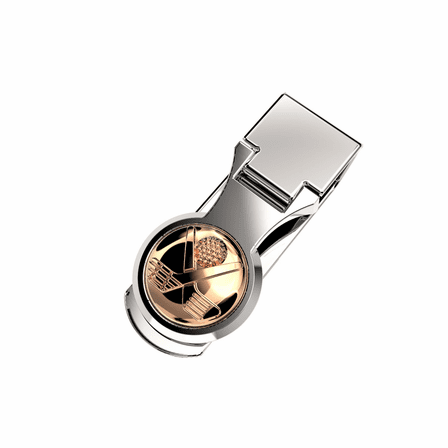 It's polished silver stainless steel, contemporary and sleek, with a clear engraved face that features two crossed golf clubs and a dimpled golf ball! 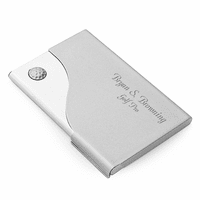 The hinged-grip style allows you to open and close the clip easily, and holds up to 20 folded bills. 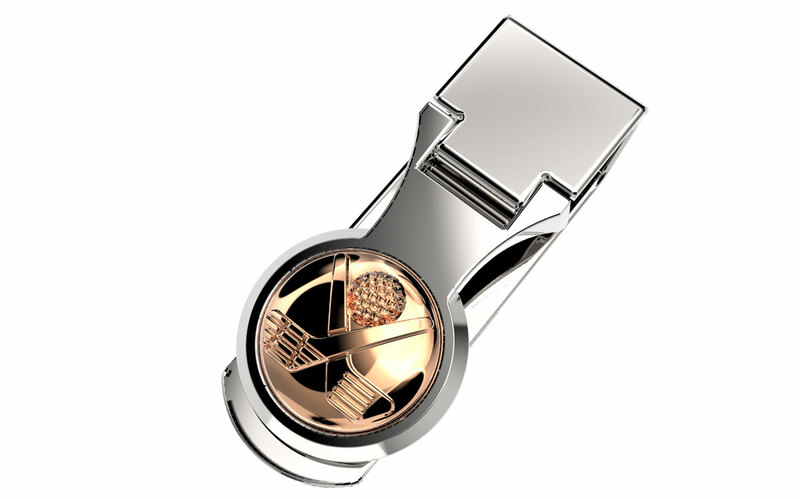 It's a great gift idea for golf buddies, family and friends, with free personalization and gift box package!